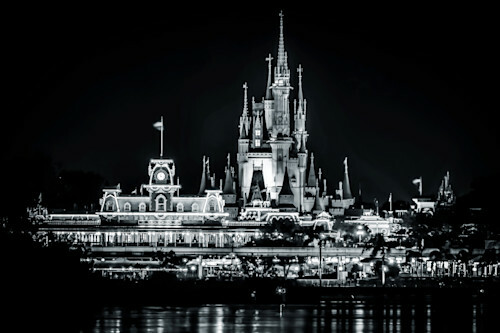 The view of Cinderella's Castle from the Transportation and Ticket Center is always a favorite of mine, and I love how it looks in black and white. 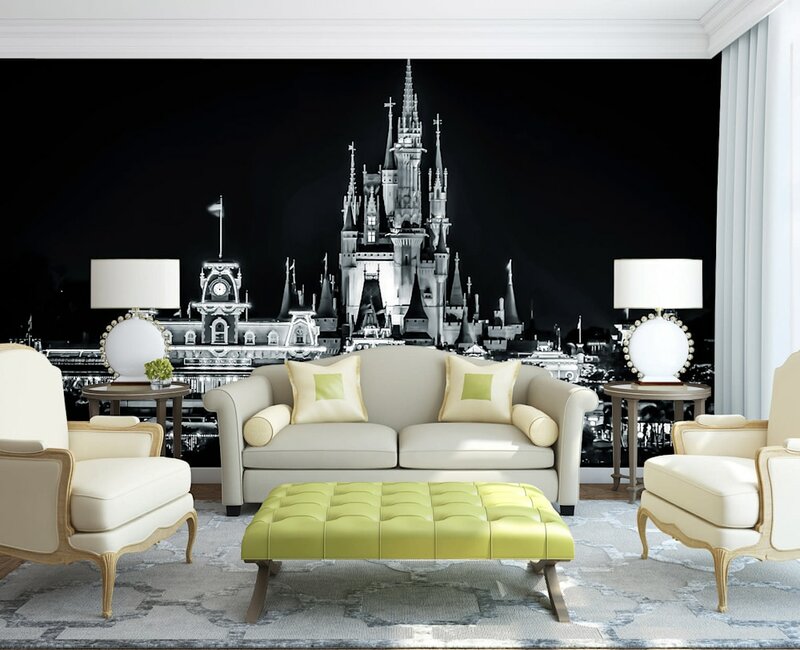 This Disney Wall Mural comes in three different sizes, and custom sizes are available as well by contacting me. Sizes and descriptions will be listed below. All of my Disney murals are made for smooth and slightly textured surfaces. They are an easy to install peel and stick woven fabric, and they are removable and repositionable. They are also manufactured in the USA. 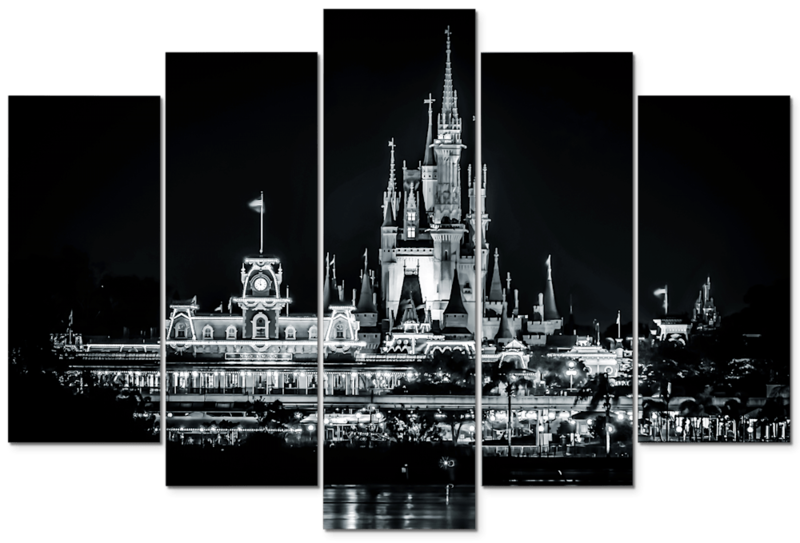 More information is listed on my main Disney Wall Murals page. What you see in this Black and White Disney Print is the view of Cinderella's Castle from the Transportation and Ticket Center Boat Dock. I love watching and photographing the fireworks from this location. It is a completely different perspective from watching the fireworks on Main Street, and the fireworks appear way bigger than you could imagine. This one was shot on an evening in September after I had spent the day at Epcot, and was returning to the Contemporary Resort. So when I was changing monorails, I took a slight detour to the boat dock and grabbed a few photos.